The North Atlantic Alliance will continue supporting Georgia and Ukraine, as Jens Stoltenberg, NATO Secretary General, said at the press conference in Warsaw, Interfax-Ukraine reports. 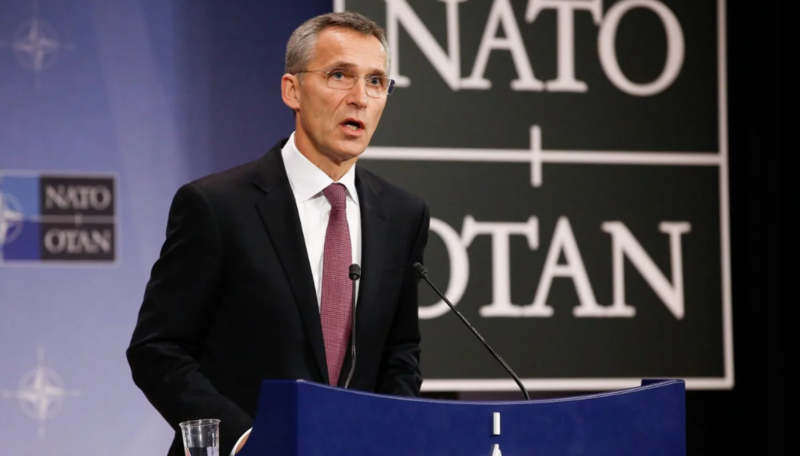 “NATO will keep providing political and practical assistance to Georgia and Ukraine,” he said. According to him, Georgia and Ukraine are very valuable and very close NATO partners. Earlier, we reported that Polish Foreign Minister Jacek Czaputowicz believes that NATO Secretary General Jens Stoltenberg can intervene in the situation with Hungary's attempt to block Ukraine's Euro-Atlantic integration. As it was reported earlier, Hungary imposed a veto at the holding of the Ukraine-NATO commission in Brussels at the foreign ministers level that should take place this week. Budapest blocks the holding of the Ukraine-NATO commission for the third time, expressing the claimants toward the language article of the Ukrainian law on education. As we reported the session of the Ukraine-NATO commission that should have taken place on February 14-15 was blocked by Hungary. Hungary claimed about its intention to block the meeting in the mid of January when Peter Szijjarto Minister of Foreign Affairs of Hungary claimed that the blocking will continue until Kyiv fulfills the demands of Hungary toward the education law.